Double Platinum DJ Production event. 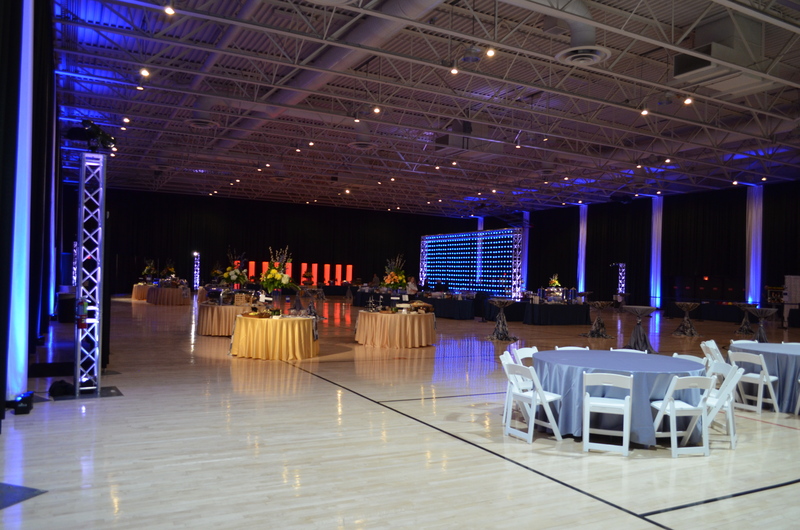 A 10,000 square ft. production by Double Platinum DJ – Platinum Production for 700 people. DPDJ Chris closing out an event on stage at Turner Hall in Milwaukee. 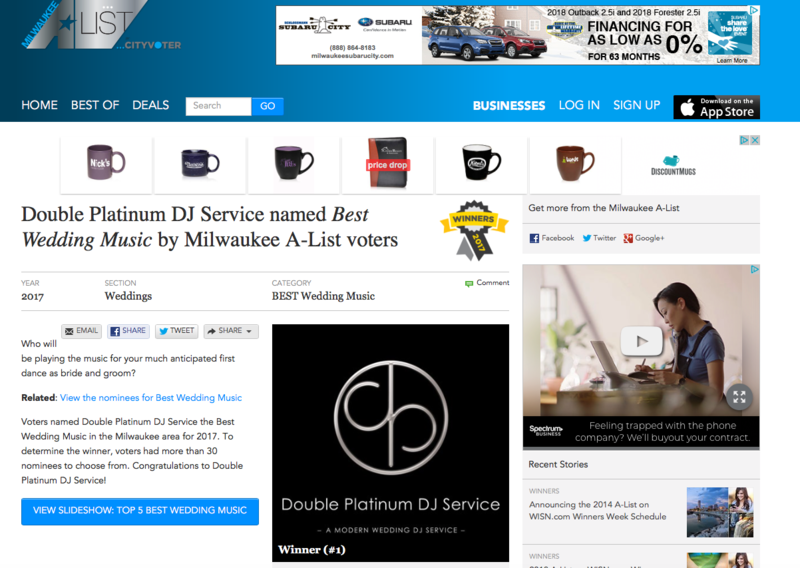 Double Platinum DJ named in the Top 5% of WI wedding vendors. 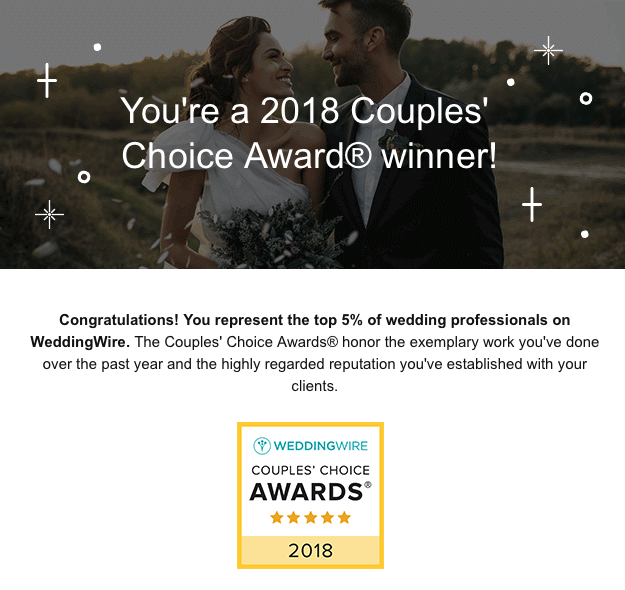 Double Platinum DJ received the Couples Choice Award from WeddingWire again this year! Double Platinum DJ voted #1 in A-List contest. 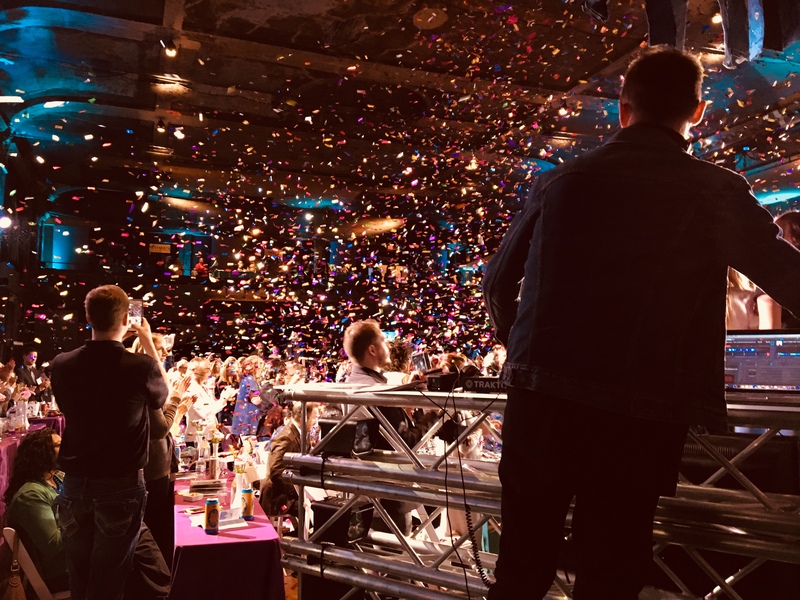 Double Platinum DJ Service was voted the #1 wedding DJ service in Wisconsin for the 9th year in a row by WISN, Channel 12 news. 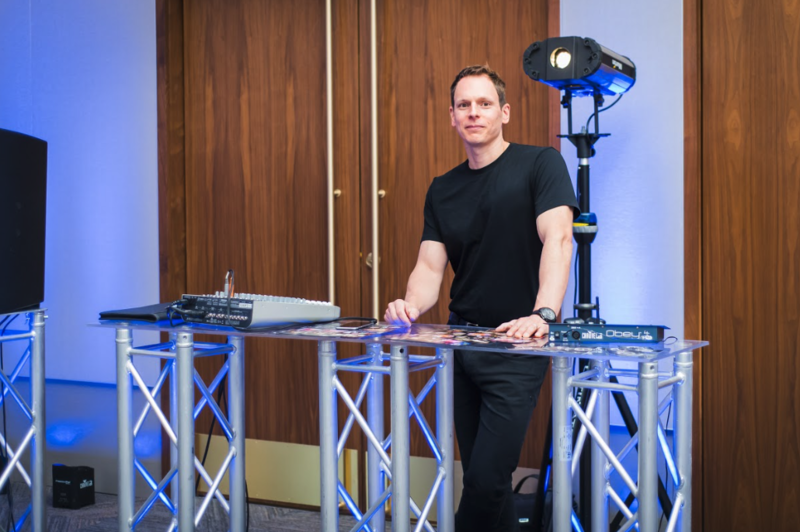 Double Platinum DJ set up a new style of a string lighting backdrop on Saturday for a wedding. 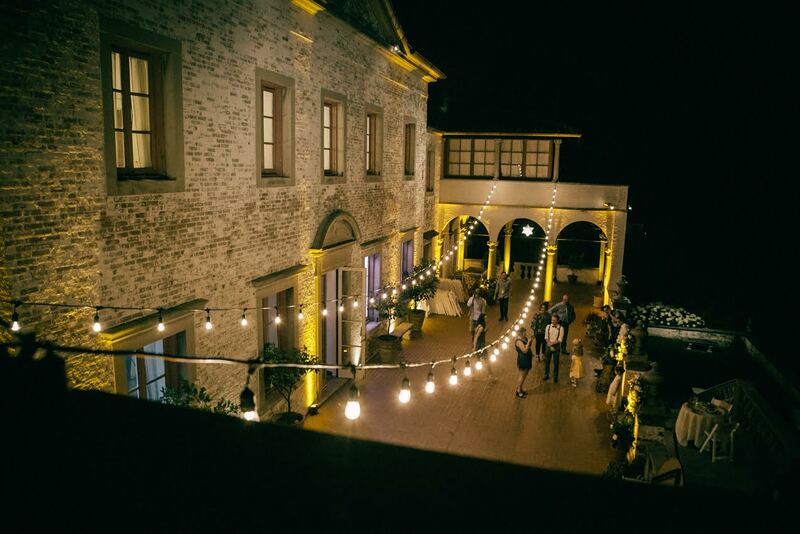 We used dimmed down filament bulbs hung in a swooping horizontal pattern. The results were stunning. Double Platinum DJ provided 200ft. 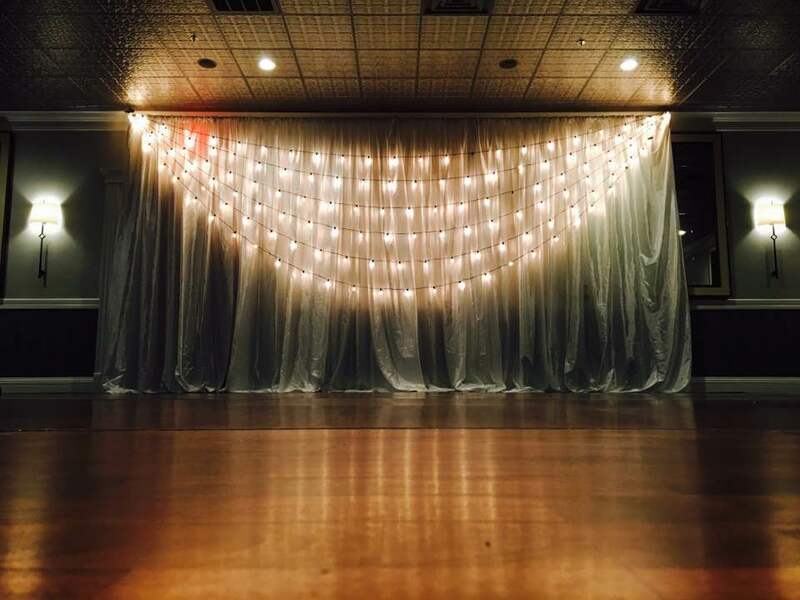 of string lighting, 50 battery powered up-lights and ceremony sound for a wedding on Sunday. Double Platinum DJ provided entertainment and lighting for a 2 day Indian wedding this past weekend. DPDJ is ready with the Bollywood, Punjabi and Indian pop music. 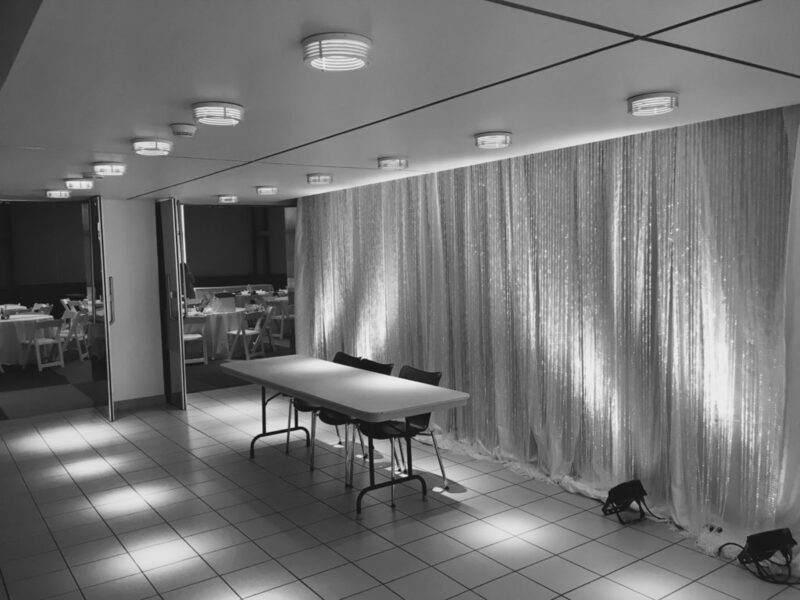 We installed a crystal backdrop right off the elevators for a wedding this past Saturday. 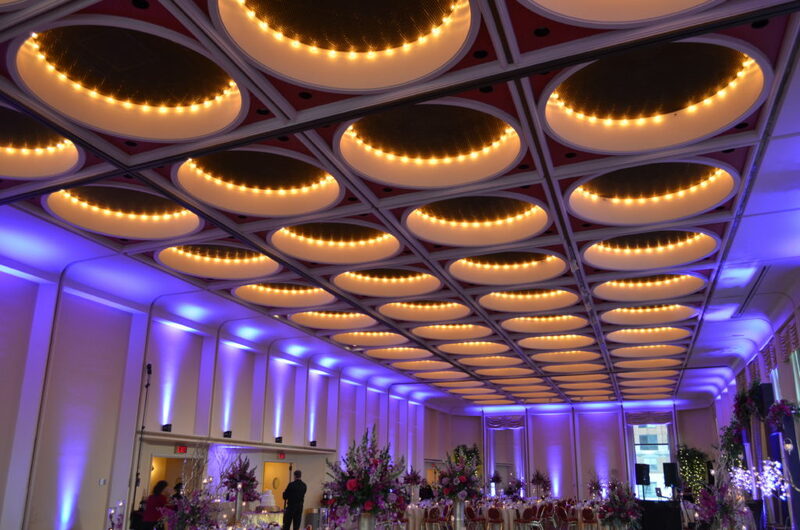 The elevator doors open up, and the lit backdrop was the first thing the guests saw.